Apple has just sent out invites to media to their upcoming 9 September event where they are expected to unveil new iPhones (at least one), the iWatch, new iPads perhaps?, iOS8 and OSX. The invite comes with a very mysterious phrase, as usual. This time around it says “Wish we could say more”. Well, if you ask me, they wish they could say more but the new iPhones have already been leaked so much they can only say so much now. 1. Well, the current iPhones are already 1 year old. 2. They always announce new iPhones in September. 3. 9 September is a Tuesday. They always announce on a Tuesday. 5. If not 9th, then when? So let’s all sit tight and look forward to awesome new devices from Apple! 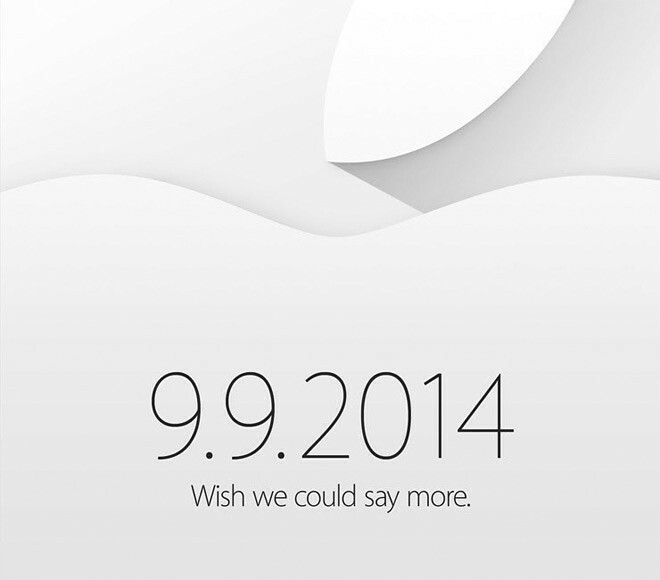 One Response to "5 Reasons Why Apple Is Launching New iPhone On 9.9.2014"